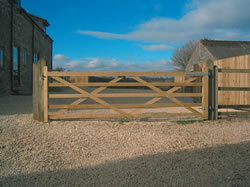 Charltons Gates are in our opinion, the best range of field and 5 or 6 bar entrance gates available on the market. 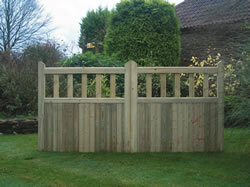 They offer the best value for money and are superior in construction. Throughout the range they are fully mortice and tenon jointed, with galvanized dowels and bolts on the field gate (Forester). They have hardwood dowels and stainless steel bolts throughout the premium softwood and hardwood 5 and 6 bar ranges. 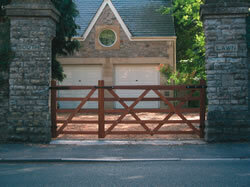 Most gates are available and kept in left and right hand versions to make and hang as a pair. However, a universal product is available to order that can be hung from both sides. 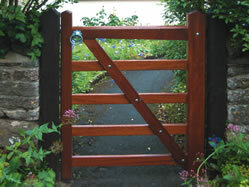 We keep all sizes and hands of the Forester Field Gate range which are a planed, pressure treated field gate. 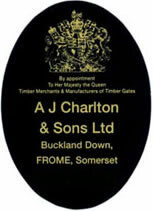 We also keep in stock the most popular sizes and hands of the Somerset Entrance Gate and the Estate Gate. Hardwood and special order gates are only a few days away. Certain Iroko Hardwood gates are made to order only and come bubble wrapped for damage prevention; these really are beautiful gates which have always been a pleasant surprise to the customer. The Hampton Gate is offered as an economical traditionally designed gate that comes in 1050mm / 3’6” high only and in widths from 915mm / 3ft up to 1830mm / 6ft wide in increments of 150mm / 6”. They can be hung as pairs across a driveway to give a pleasing effect for an economic price. 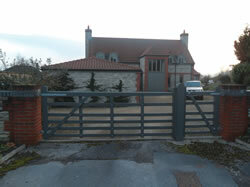 Or as a single pathway entrance gate. They are pressure treated and mortice and tenon jointed.